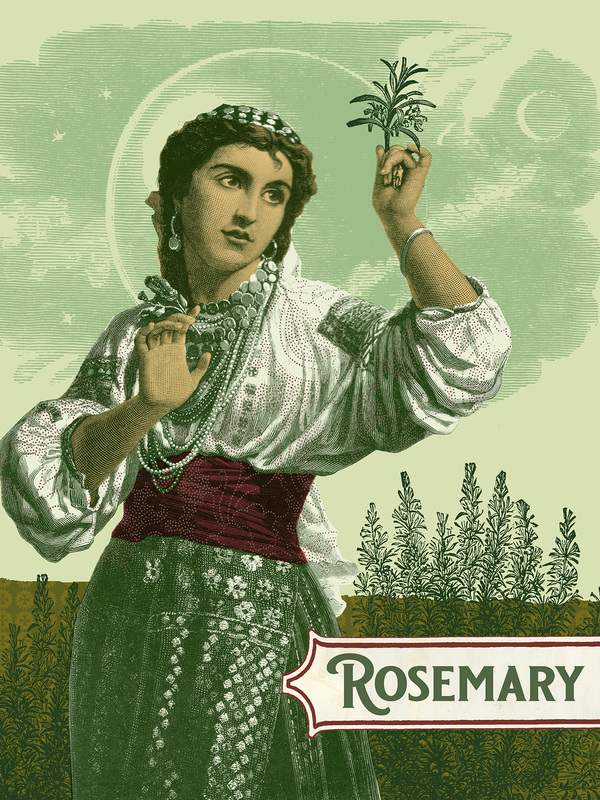 Rosemary is believed to be one of the first herbs used for culinary, medicinal, therapeutic and esoteric purposes. With its needle-shaped leaves and pale blue flowers this shrubby evergreen bush has a rich, colorful and aromatic history steeped in folklore. An old adage states that where Rosemary grows, the woman rules, and it was believed that Rosemary would only flourish in a garden where the lady of the house ruled the roots and the roost. Rosemary wreaths were dipped in fragrant water and worn by brides on wedding days as a symbol of love and fidelity, while Rosemary springs were often tossed into graves by mourners so the departed will be remembered fondly.